This year’s Warren County Winterfest is set for Friday, January 20 – Sunday, January 22 at Chapman State Park. This event is great for the whole family and it is known to be one of the largest winter events in Pennsylvania! 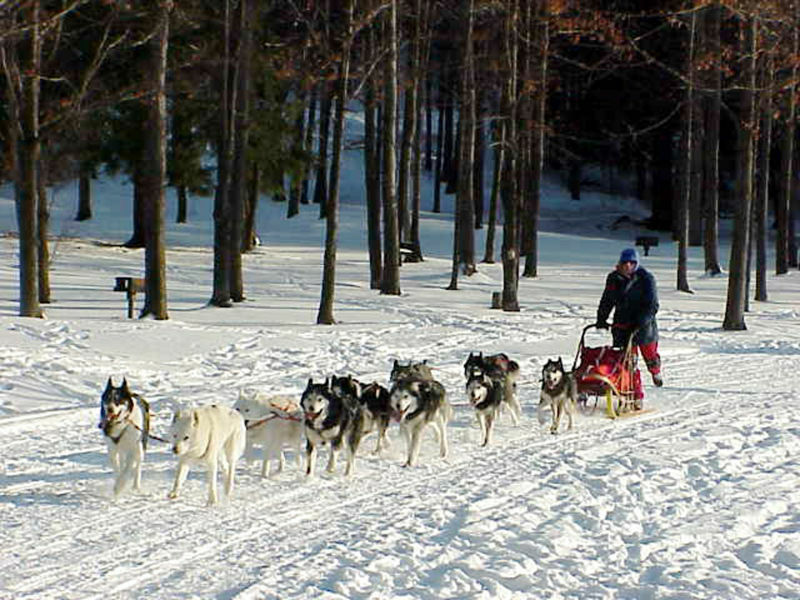 This fun event will start off with the Jim Lobdell Memorial Sled Dog Race on Friday morning at Chapman State Park! Come on down with your friends and family and enjoy this exciting event in snow! Looking for more snow activities? Ride your snowmobile through some of the best snowmobile trails in Western Pennsylvania. The Allegheny National Forest Snowmobile Loop goes right through Chapman Park, so spend the day on the trails and stop by Winterfest throughout the weekend for great family fun! The fun continues Saturday morning with more Lobdell Memorial Sled Dog Races, skiing, ice fishing, and a geocaching seminar that starts at 9 AM! There will also be Canine Weight Pull competitions going on as well! Later in the afternoon there will be the Patrick Shine Polar Bear Plunge at 2 PM! Be sure to register before the event and all the proceeds help to benefit the Salvation Army’s Warren Citadel. For all of you skaters out there, make sure you bring your ice skates and enjoy the all new ice rink! If you don’t have skates, it’s not a problem because there will be skates available for you to rent throughout the weekend! To send off this special event, be at Chapman State Park on Sunday at 2 PM for the Outhouse Races! Build your own outhouse on top of cross country skis and race to the finish line! The fastest time wins, so bring your A team and get ready to send off this year’s Winterfest the right way! The Warren County Winterfest never disappoints and there is something in it for everyone! You’re your calendars and get ready for the best event yet! Click here for more information and to sign up for events and activities prior to Winterfest!